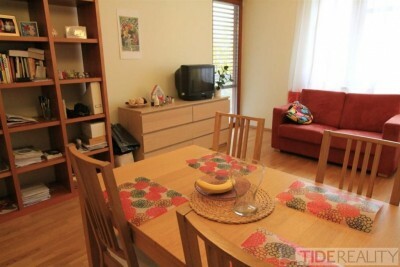 Rent of sunny, fully furnished apartment 3+kk, Praha 2, Vinohrady, Jagelonská str. Spacious newly renovated and fully furnished 2-bedroom apartment in the safe district near the city centre - just a few metres from metro station Jiřího z Poděbrad. The flat has 77 m2 it is newly renovated, placed in a historical building from 1931 with high ceilings has large windows overlooking the street from the one side and the house back yard with a view of the Zizkov TV Tower the highest building in the Czech Republic with a 360° view from the other (bedroom) side. The Tower is interestingly illuminated at night which you can see yourself right outside Fully equipped modern kitchen with built-in fridge and freezer, microwave, pop up toaster, filter coffee machine and coffee percolator, electric oven, gas cooker, dishwasher (dishwasher tablets included), granite sink (incl. sponge, table cloths, washing liquid and dish towel). TV with music channels, DVD and Wi-Fi is free. The hand and shower towels, bed linens and sheets, iron, ironing board and hair dryer are also at your full disposal. PENB G. Available from 1st July 2019. 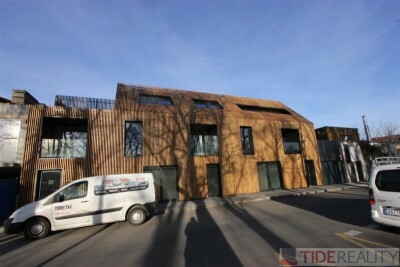 Modern unfurnished apartment 3+kk, new building Na Cibulce, Praha 5, Naskové str. Bright, new apartment 3+kk, Praha 5, Butovická str.